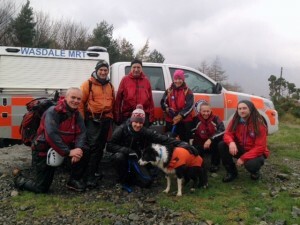 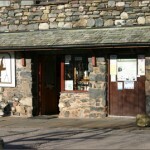 The team was called by police at 02:45 after a missing collie called Jasper had been found at Broad Crag Col and assistance was needed getting him down to the valley. 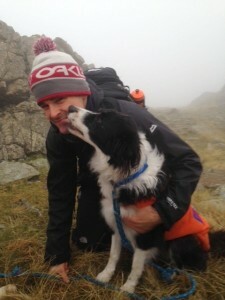 Jasper had been missing since Sunday and was last seen near Cam Spout in Upper Eskdale. The team stretchered Jasper over a little difficult ground and he walked most of the way down. 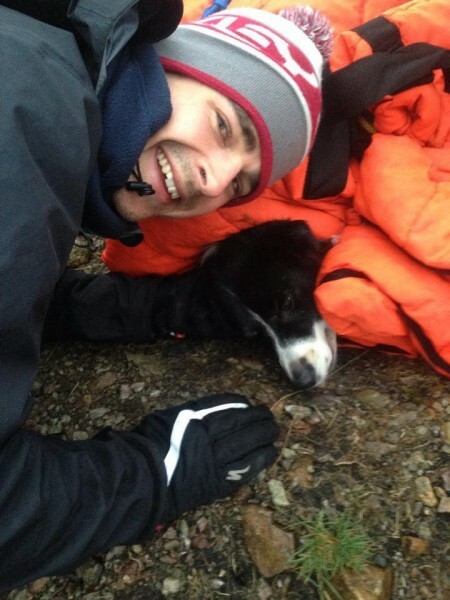 He was reunited with his owner at Lingmell Col. Many thanks to Adam, his owner for setting up a justgiving page for us, the money raised will go a long way towards the £500,000 we need to build a new base. Update — Thank you very much to everbody who has donated to the team, over a few days £50,000 has been donated by nearly 5000 people which will make a huge difference to the new base project. 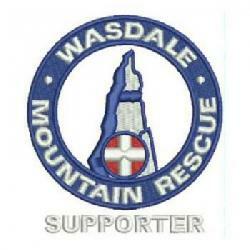 To put this in perspective, in a few days the public has donated more than our annual running costs!